Hey everyone, I was looking for something quite simple today, one of those things you can throw on in the summer, put your sandals on and your denim jacket, done. No thinking about it, but still look good. So I think this is perfect, the Strappy Grunge Midi Dress from Topshop with a lightweight material, loose, nipped waist and flowing at only £25.00! 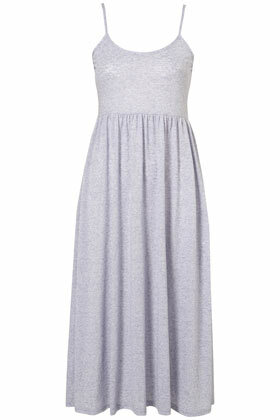 Quick and easy, for a hard working and long day this dress is just right. Oh and all those students don’t forget £2.50 off with your student card, must have! Thanks to a good own browse through LOOK magazine, I have discovered that the retailer MANGO has stepped it up a few knotches! With Kate Moss endorsing their new range, their S/S collection it is so unique and at great prices! Watch MANGO’s video with Kate Moss called Spy Game showing off some of there special pieces. 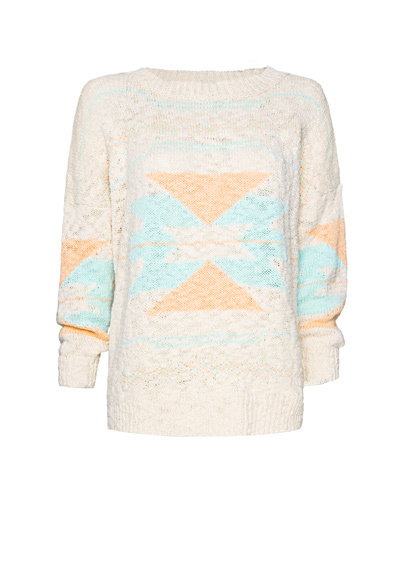 Aztec designs are huge for Spring, so today I am choosing this Navajo style jumper, a loose knit ethnic jumper, perfect to throw on over jeans, leggings and shorts for the summer and only £22.99! 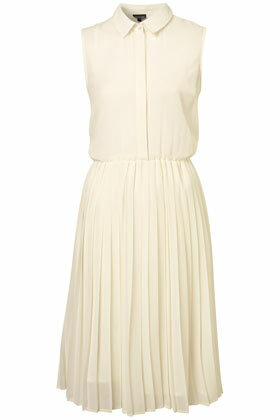 Today I am in love with this Pleat Midi Shirtdress available from Topshop. It’s a perfect item for the S/S wardrobe and will go great with a high waisted belt and summery sandals. It’s available in cream, red, yellow and lilac at £50! It’s beautiful, classy and elegant you can’t go wrong with Today’s Fashionsmusthaves.